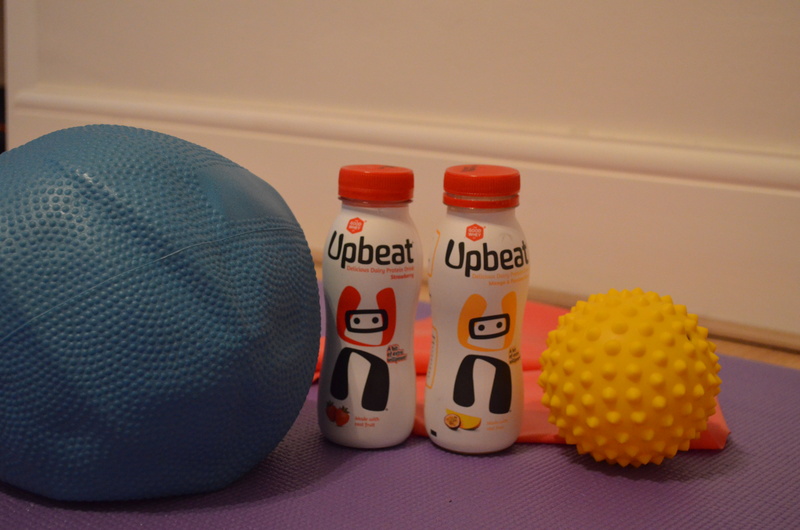 Upbeat make protein drinks, but these are marketed as a drink for everyone, not just body builders and athletes. They are a dairy drink with 20g protein, 11-12g sugar (mainly from the milk) and less than 150kcals per bottle. They also have sucralose added as an extra sweetener. So they are lower in sugar than a lot of other drinks, containing about the same amount of sugar as milk does. I like the fact that they contain calcium as many people I work with need a calcium boost. These are not high in calcium but it all adds up. They taste good, not thick like a milkshake and not as sweet as a smoothie. I particularly like the Mango and Passionfruit. Working with clients who have eating disorders I would suggest these drinks to clients who need to boost their calories but do not want to take a supplement. They are a good alternative to a smoothie as they contain less sugar and have the added calcium. Disclaimer: All views are my own. I received free product for the review as well as product for an event.